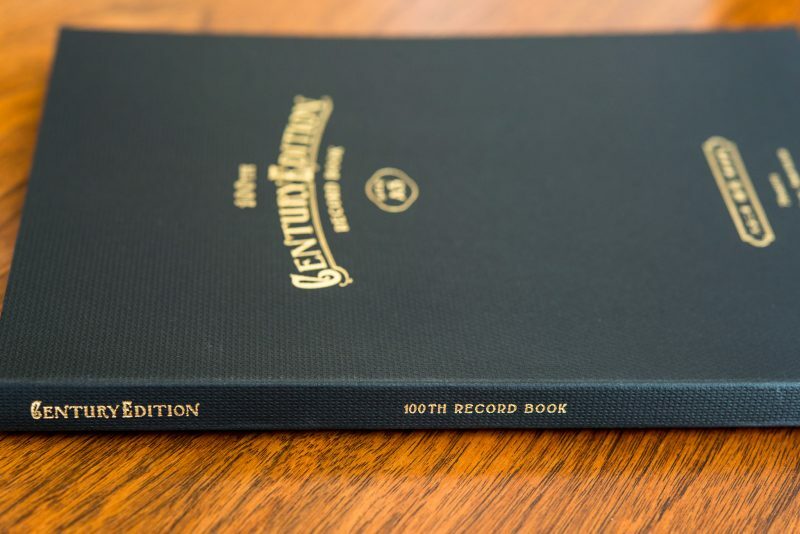 The Century Edition notebook was created to celebrate Kokuyo’s 100-year anniversary. 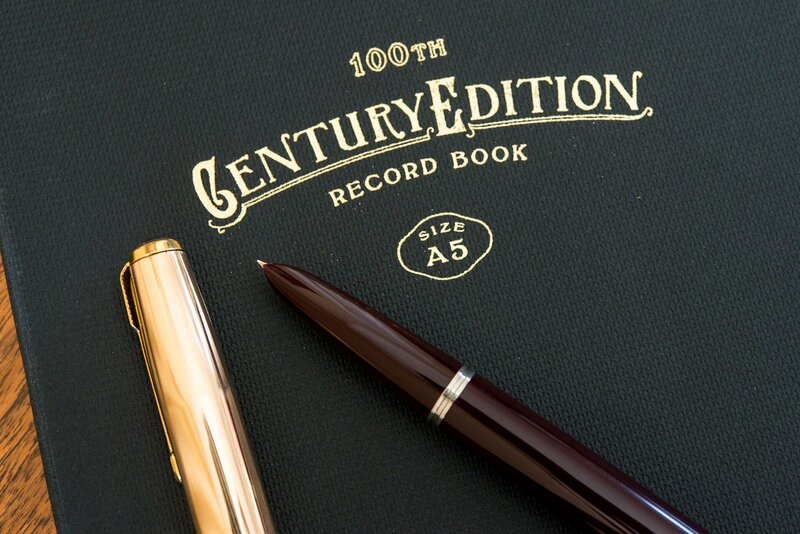 It seems that they pulled out all of the stops and designed their most beautiful and luxurious notebook to date. If the name Kokuyo sounds familiar, you might recognize it from their popular line of Campus notebooks. This notebook, as you’ll see, is a big departure from those student level notebooks. Before you ever open it, you know this is going to be a special notebook. Wow. That’s all I have to say about this notebook. It is an extremely attractive and well-made notebook that oozes class and quality. 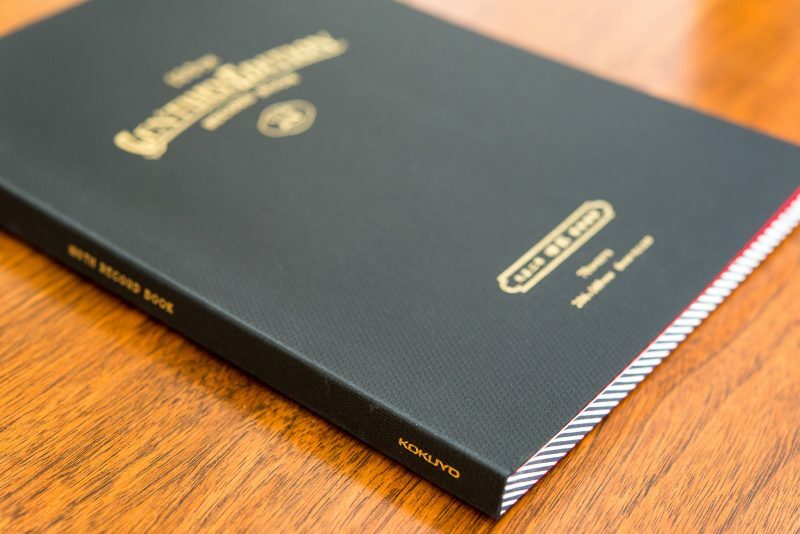 The cover material is top-notch and the gold foil accents really stand out. While it may look like the cover is made out of cloth, it’s actually just cardstock with a nice texture! It also comes with a plastic cover that can be kept on for protection, but I removed for the photos. 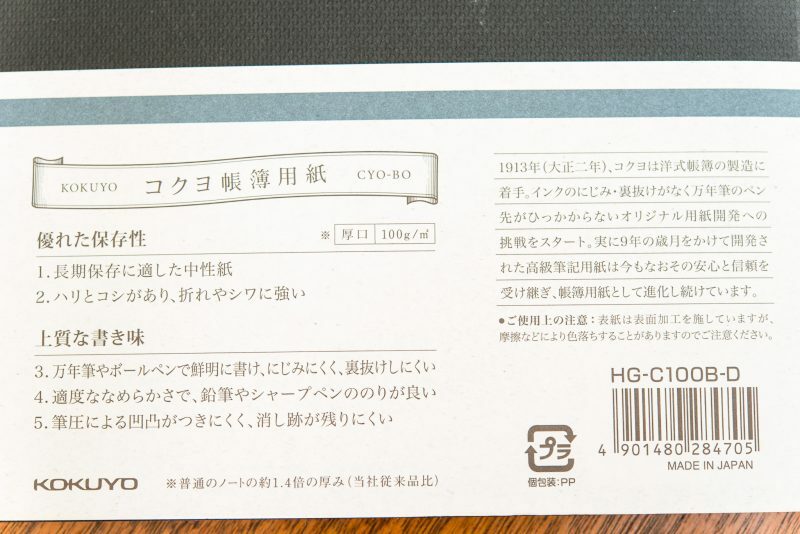 It also has a paper “insert” on the cover with information (mostly in Japanese). Opening it up, the first thing you’ll notice is the bright pop of color from the flyleaf. The paper feels nice and smooth. 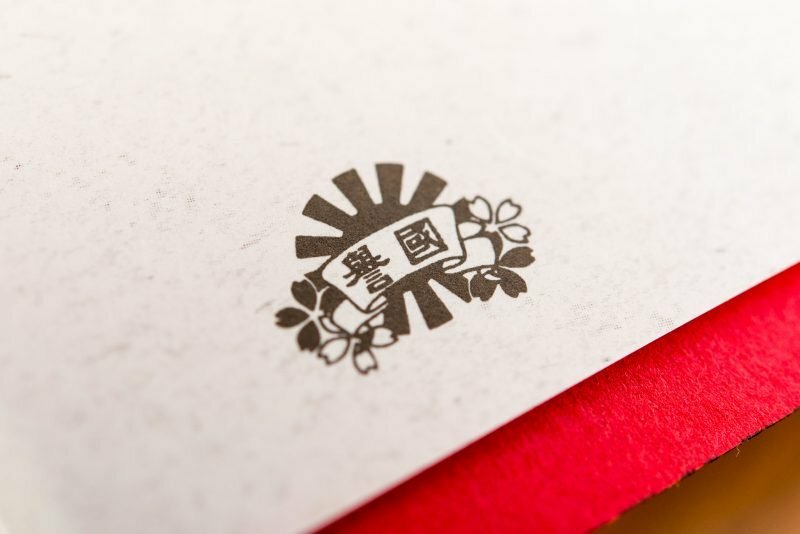 Weighing in at 70 sheets of 100gsm paper, the notebook has a solid, dense feel to it. I can’t wait to try it out! 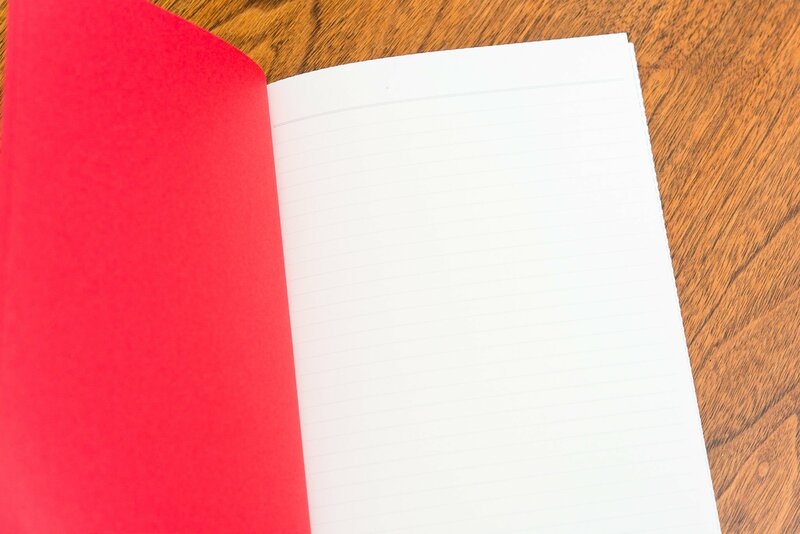 All paper edges of the notebook have this striped pattern. 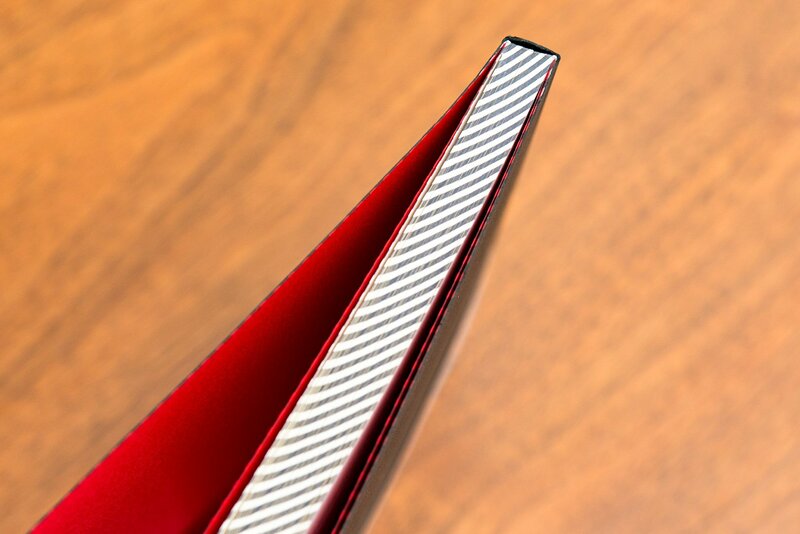 Even the spine of the notebook has foil accents. 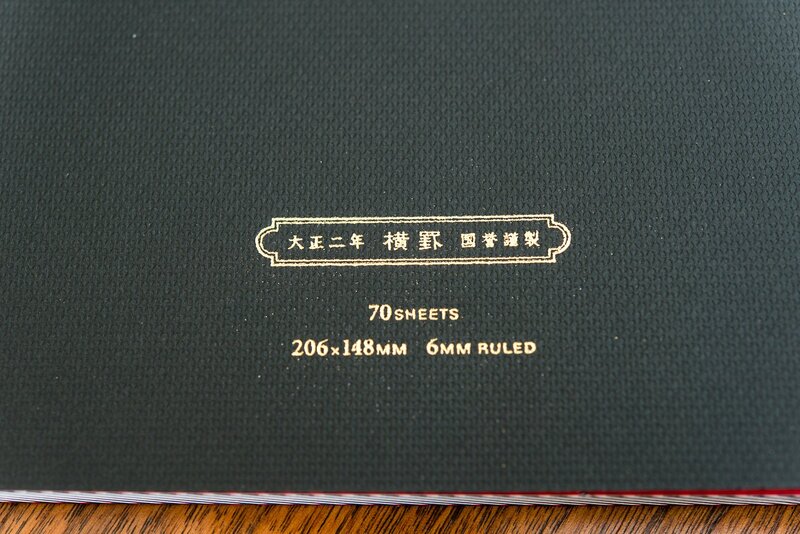 Here you can see the informational paper that comes with the notebook. 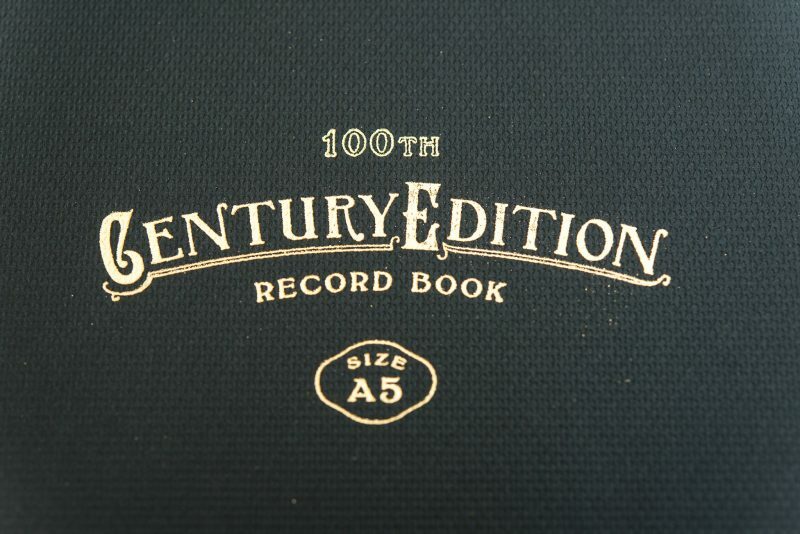 Sitting down and opening up the Century Edition notebook is much like using any other notebook. While it is beautifully designed, it doesn’t have any extras, so you won’t find an index, page numbers or anything like that. At the end of the day it’s just a notebook. But what a notebook! The stitch binding allows the notebook to open and lay flat, but it will take a little breaking in before it does it automatically. The pages have light grey lines on ivory paper. The lines do not extend to either edge of the page, leaving a small margin on each side. The top and bottom margins are created by a double-line. This images gives you a good idea of the page layout (and the red flyleaf). The paper itself is very good. In my tests I did not encounter any bleeding or feathering and ghosting is low, mainly due to the thickness of the paper. 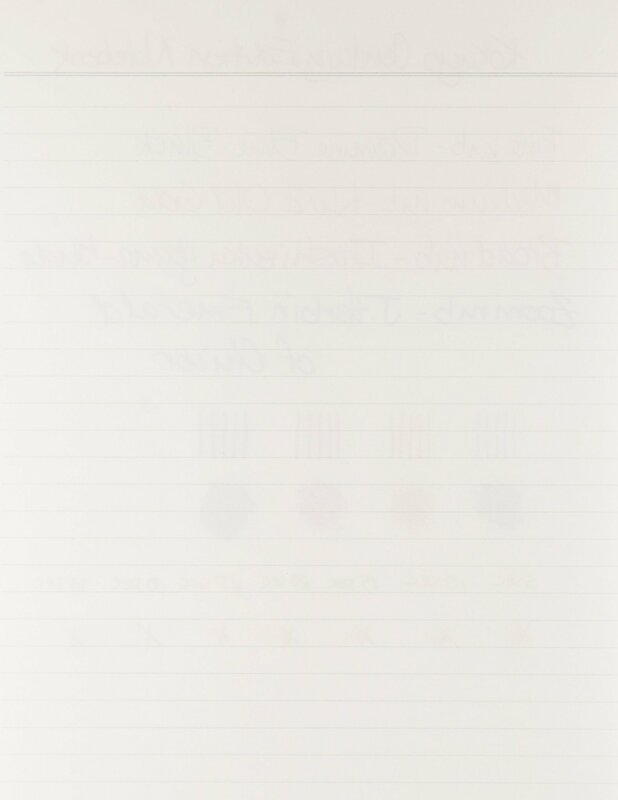 You can easily write on both sides of a sheet. The paper shows both sheen and shading. While neither one is extreme, it should be enough to satisfy most users. Writing on the paper feels great. It is nice and smooth with a bit of feedback. The closest thing I can compare it to is Midori MD paper. Surprisingly, dry times aren’t bad for such high-performing paper. 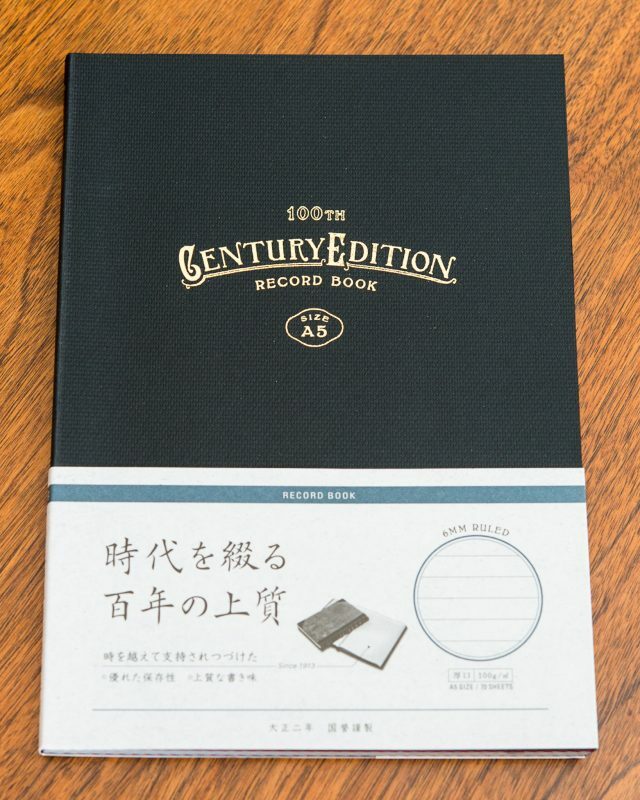 The Kokuyo Century Edition notebook is the type of notebook that you might choose to use for something special. Maybe you want to keep a journal or maybe you want to write down good memories. If so, this notebook would be an excellent choice. While it would work just fine for taking notes at work, it seems like a waste to use such a beautiful notebook for such a mundane task. Personally, every time I pick this notebook up I take a few seconds to appreciate how stylish it is and just hold it and look at it. 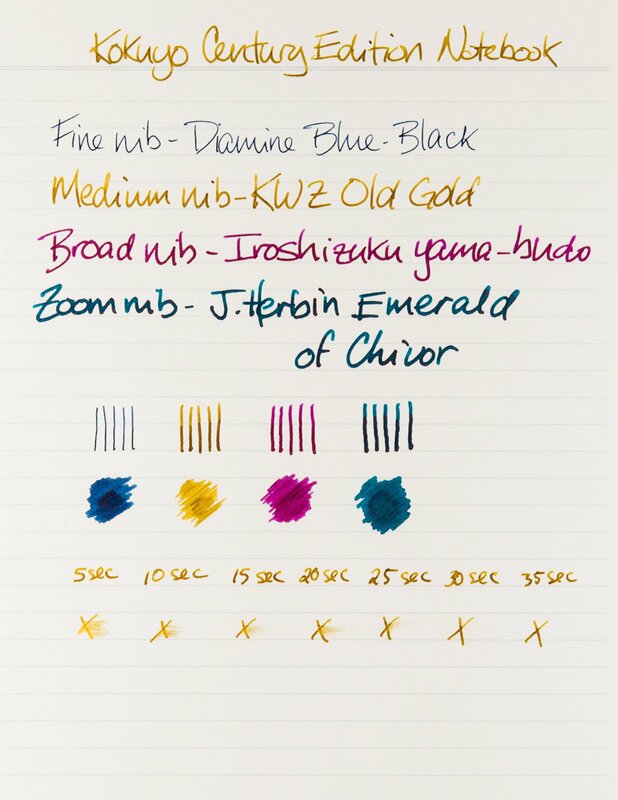 Of course, a beautiful notebook with horrible paper would just be wrong, so fortunately the paper is very fountain pen friendly and a pleasure to write on. 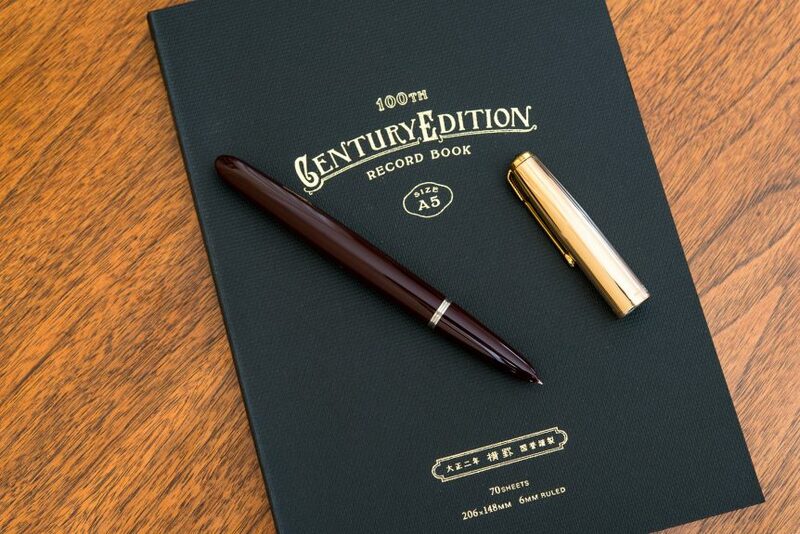 If you want to treat yourself, I highly recommend you consider the Century Edition notebook. 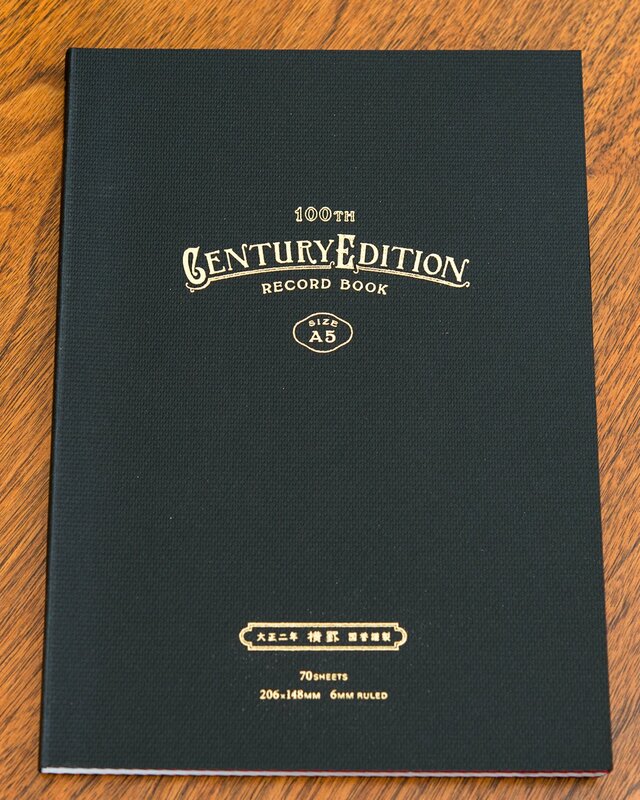 The Century Edition notebook is quite attractive. … and the back of the same sheet. This small symbol is printed inside the front cover on the info sheet.  If you’d like a bit more information about how I test papers and notebooks, I wrote an article about my paper rating system. Who this notebook is for: Someone who wants a high-quality, luxurious notebook. 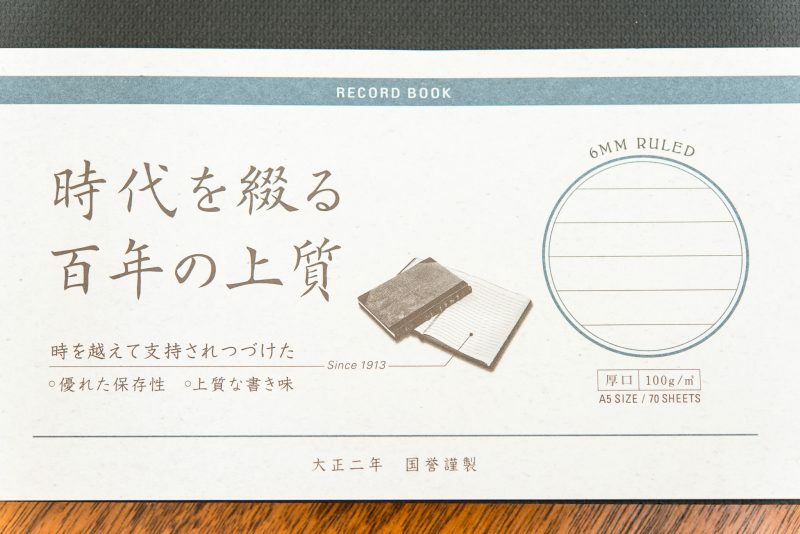 I’ve always had good luck with Kokuyo products, such as their A5 systemic notebooks and covers, and lately have discovered their excellent and unique Sketch Books. I’ve never tried their Sketch Books, but will keep an eye out for them. Thanks for the suggestion! It is a _beautiful_ notebook. I ordered mine in May 2018 and paid just under $13 from Amazon seller Haniwa Port, who now list if for $26 (!). In comparison, the lowest price on Amazon now is within a few cents of $16 from several sellers. A Rakuten seller offers the notebook for $11.13, but EMS shipping could be $18, so that sends you back to Amazon. Or you could luck out and have a friend who’s traveling to Japan. And despite the general rule that you can find anything in New York, Kinokuniya Books did not carry it in their New York store last year. Wow, you got a steal picking one up for $13! I did see some on Rakuten for under $10 a while back, but shipping makes them way too pricey. I found mine in San Francisco and think I paid almost $20 for it, but didn’t want to pass it up since I had never seen one like it before. I wouldn’t pass up the opportunity to grab one or two more if I could find them for $13.